One inside wall of the ground level of the barn shows milking equipment and another open door. 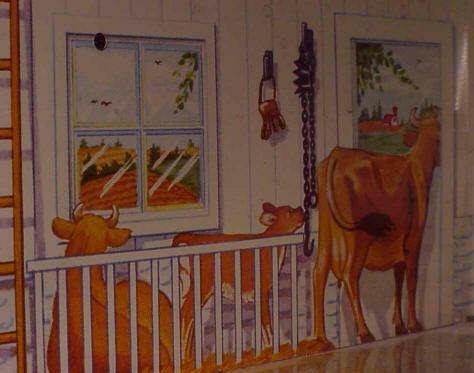 The other inside wall shows the aforementioned ladder, a window that shows rolling farm fields, a mother cow and her calf in a stall, and another cow looking out the top of a two piece door which also shows rolling farm fields and even another barn in the distance. 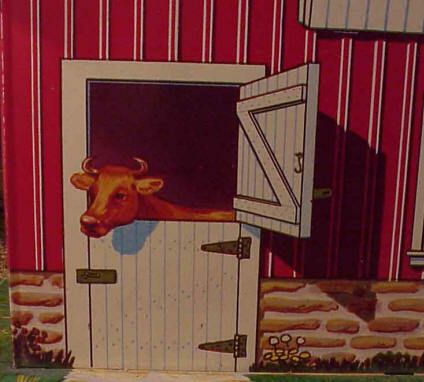 When looking at the outside wall of this side of the barn, the head of the cow looking out the door is shown. 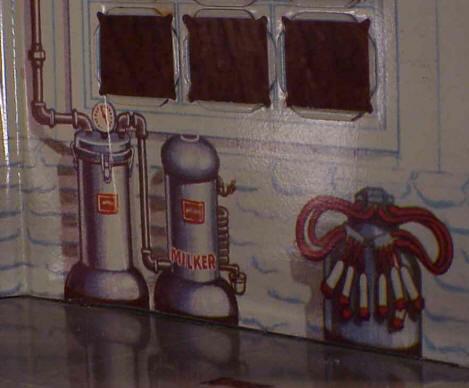 The Marx logo is present in the lower right of this outside wall. There is also mysterious hooks that are cut out from the tin. 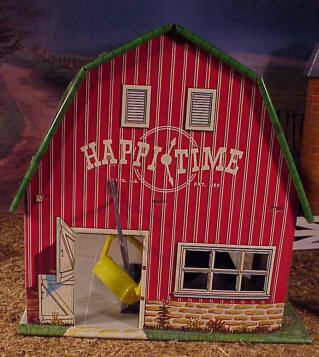 The outside litho of the other barn side wall shows the Happitime logo, two air vents, and an open door and window. Finally, there are holes on the side walls where a metal rail attaches. This rail goes through the inside of the barn and is used to be the track for a carrier which is part of the yellow accessories group. The roof is green shingles. One of my sets came with an unassembled barn. I had trouble fitting the loft floor into the slots. All in all, Marx makes a good impression with this early example of its tin buildings. The barn evokes a very relaxed and peaceful atmosphere. As a kid, I loved exploring through my grandpa's big barn. It was always cool inside, and the smell of hay and animals always had a fresh air to it. With the big doorways open, breezes circulated through it. 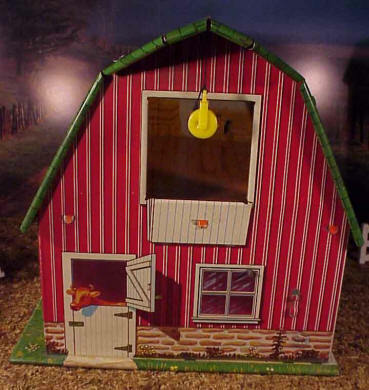 Marx captured the feel of a country farm barn to the extent that one wishes that he/she could play in the loft or visit the animals. 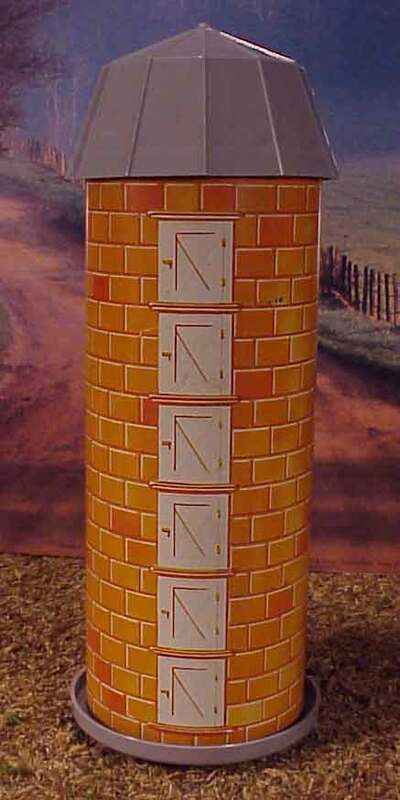 The tin silo has a hard plastic base and top. It looks pretty good standing near the barn.